PSNews - White apricot blossom (Nhat Chi Mai) is known as one of the ten rare and precious flowers in Vietnam. 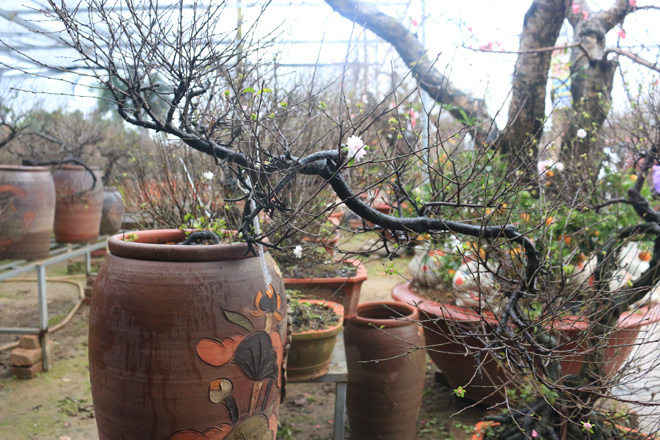 Although the price of a white apricot blossom tree is quite high (from 5 to 7 million VND) but many people still spend money on them when spring comes. 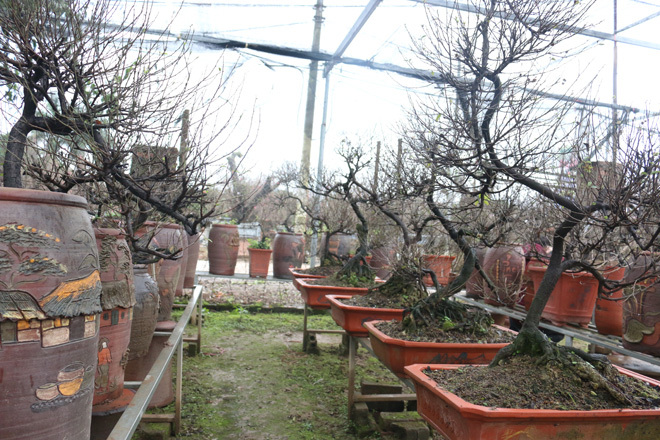 Nhat Tao village (Tay Ho, Hanoi) is famous for Tet flowers, but only a few farms grow white apricot blossom trees. 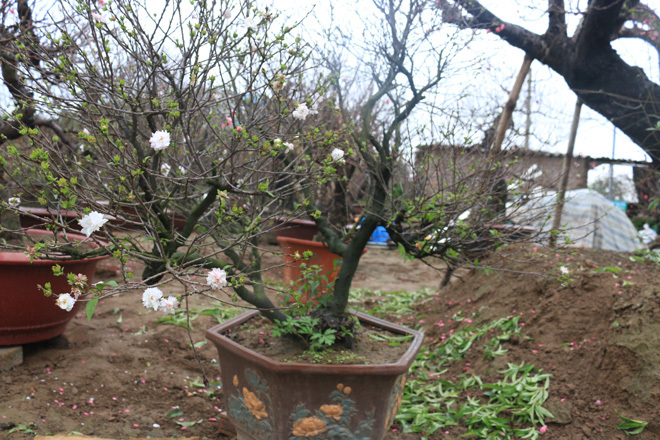 White apricot blossom is famous for its fragile shape and pure white color. It is scarce as it requires expensive and elaborate cultivation techniques. 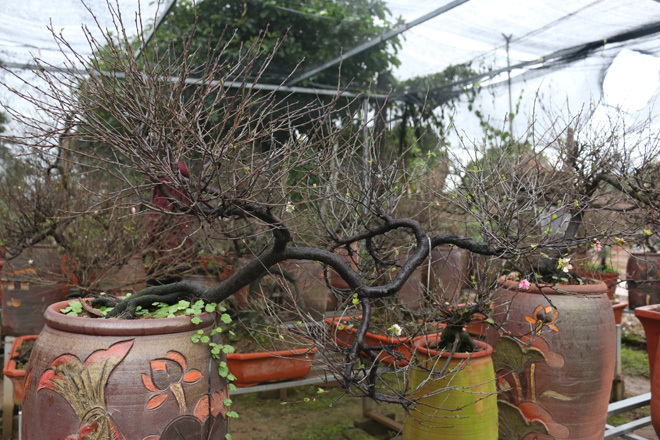 Mr. Viet, owner of the Vinh Tien peach blossom garden said that it takes a white apricot blossom tree 2 to 10 years to grow enough for sale, and the prize ranges from 5 to 7 million VND, depending on the age and the origin of the tree. 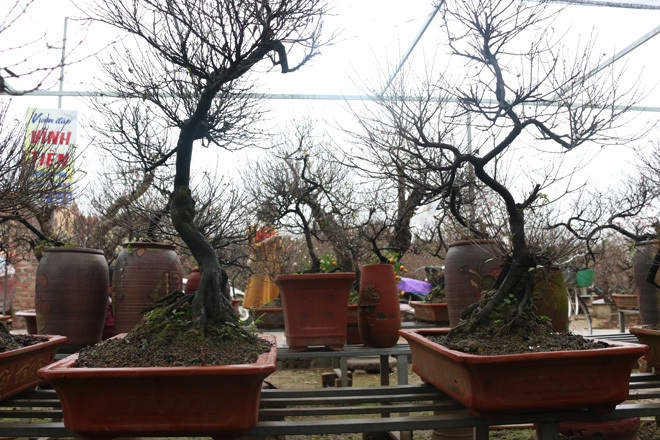 A white apricot blossom tree of 8 years old or more can be sold for VND 20 million each. 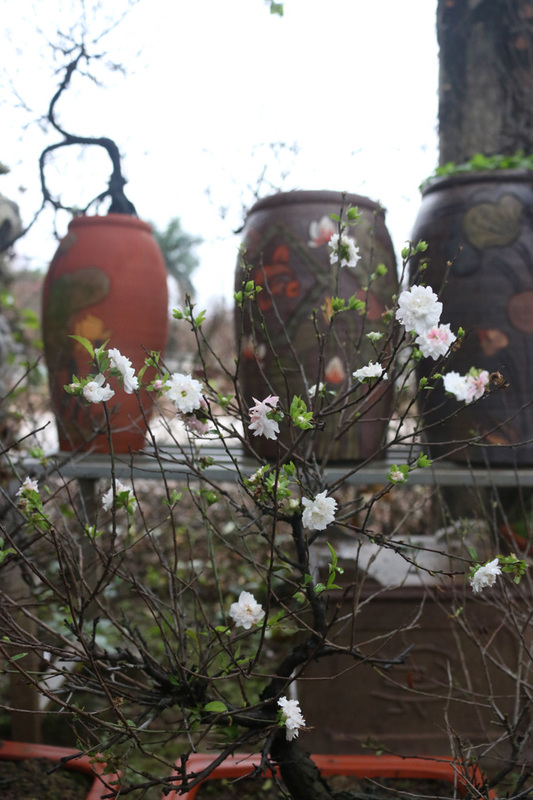 Some flower lovers choose white apricot blossom because of its feng shui meaning. They believe that the special flower could bring good luck, happiness and fortune to the owner. 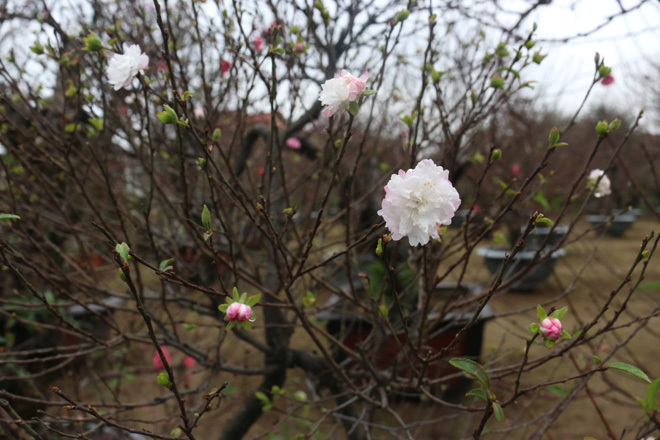 When the weather is warm, the flower's petals turn white, and when the weather is cold, the petals will turn light pink. 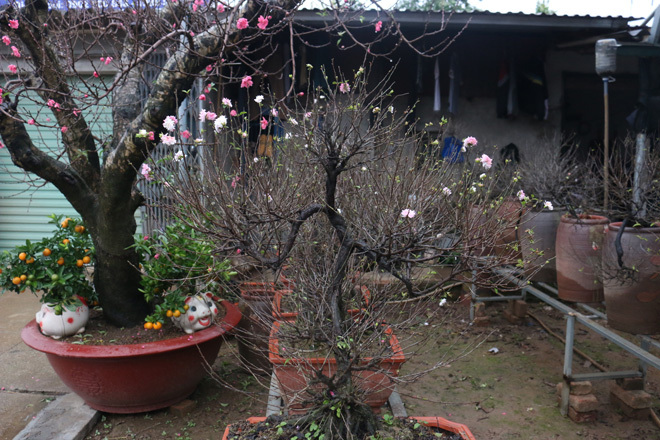 Currently, some white apricot trees in the garden of Mr. Viet are blooming and the bloom can last for 1 to 2 months. The weather this year is favorable for the growth and bloom of this blossom, Viet said.